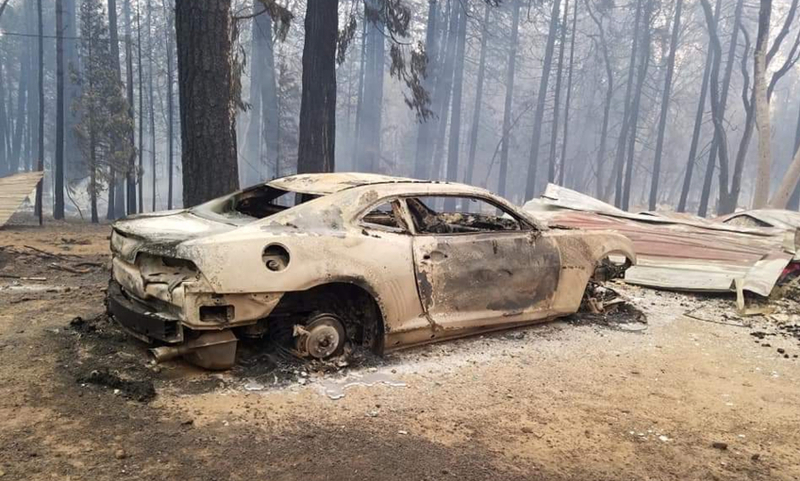 A number of Salvation Army properties have been devastated by wildfires burning out of control in California. Several Salvation Army properties have been razed to the ground in California as wildfires continue to burn out of control in vast area of the state. More than a quarter of a million people have been forced from their homes due to the fires that have already claimed at least 30 lives. At least 220 people remain unaccounted for and nearly 7000 structures have been destroyed – more than in any other wildfire in the state’s history. Salvation Army properties have been affected by the so-called Camp Fire in northern California, with the social services office and thrift store in the town of Paradise destroyed. Salvation Army staff and volunteers have been serving at six evacuation shelters in Butte County. 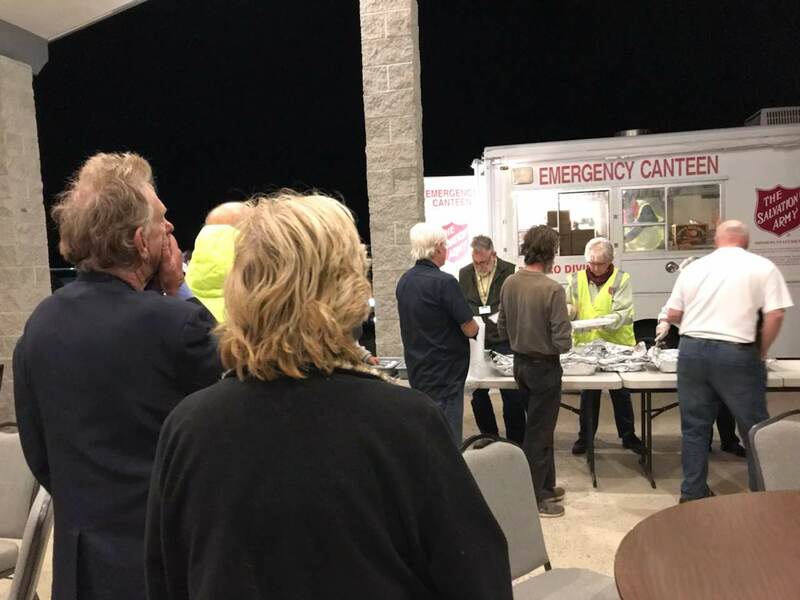 By yesterday, 7370 meals had been supplied to evacuees and first responders, with some food being donated by local businesses. Salvation Army officers have also been praying with survivors in the shelters and offering emotional and spiritual care. Army properties in southern California have also been affected by fires. Marty Brown, Executive Director of The Salvation Army’s Camp Lawrence Daley at Mount Crags, Camp Gilmore and Camp Wilderness, near Malibu, surveyed the damage at the site before being evacuated by the fire service himself. He described Camp Wilderness, a section of the premises reserved for programs with vulnerable young people, as “a complete loss”. Other structures at the camp were also totally destroyed. Forecasts of high winds, which could fan the flames, mean that other buildings and facilities remain in jeopardy. The Woolsey and Hill fires are continuing to burn close to Los Angeles. The Salvation Army has been mobilised to serve food to evacuees in Simi Valley, Newbury Park and Camarillo. As the provision of meals and essential items continues, The Salvation Army is preparing for the long-term recovery effort, even within its own properties. The need for assistance will increase as the wildfires continue to burn and thousands of displaced residents return home to find that their houses and livelihoods are gone.